As a local retailer, you know you need to position your marketing strategies to reach a geographically-centralized audience with sales-boosting promotions. For many retailers, targeting an entire town or neighborhood is more cost-effective than developing a demographically-driven mailing list; that’s because your customers are limited in number and those who live in the same neighborhoods tend to share demographic data. In short, your most likely new customers are neighbors with your existing customers. Get them in your store with the following five powerful tools for local retail marketing. EDDM (Every Door Direct Mail) postcards, as their name suggests, are delivered to every address in the neighborhoods you select. Because they don’t have to be sorted by individual address, EDDM postcards offer economical postage options that help you decrease your initial investment and increase ROI. This doesn’t mean you can’t employ an intelligent targeting strategy. Print EDDM postcards that feature your bestselling products, then send them to neighborhoods occupied by people who match your customer profiles. Add a time-limited coupon to motivate response and allow you to track sales. Banners are relatively cheap to print, and with a simple – yet bold – message they can command the attention of hundreds or even thousands of potential customers every day. Door hangers are great ways to make sure your local audience can’t miss your upcoming sales. Unlike postcards, door hangers aren’t lumped together with other marketing pieces. They must be directly handled by their recipients, which increases the chance they’ll be read and responded to. No matter which distribution strategy you choose, door hangers can prove to be powerful marketing tools in our local retail marketing arsenal. Like other marketing tools, your flyers should strive to get customer attention and deliver a special time-limited offer to entice customers to visit your store. Repeat business is the staple of any local retail shop. Print loyalty rewards cards to get customers back in your store time and again. Loyalty rewards cards are cheap to print and administer. All you have to do is come up with an incentive based on a certain number of purchases or total dollar amount spent. It’s good to limit the timeframe as well to motivate customers to regularly buy. For example, a retail clothing shop might offer a hefty 25 percent discount on the next purchase to customers who spend $200 within a six-month period. When customers make purchases, simply update their total spend on their cards (it’s helpful to use a custom punch or marker to ensure legitimacy). Once the $200 threshold is reached, customers can take advantage of their discount on a single purchase. They’re then given another card to start over. 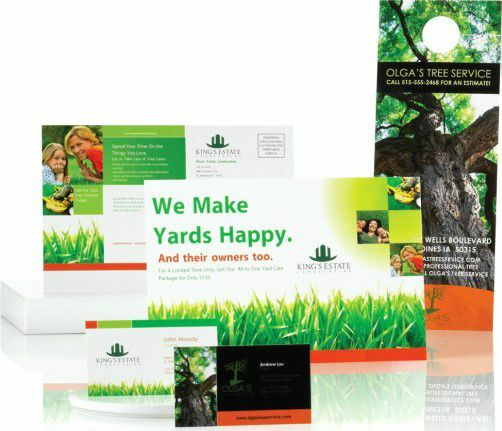 Local retail marketing tools such as loyalty rewards cards, banners, EDDM postcards, flyers, and door hangers can help you out-market your competition and boost year-round revenues. Boost ROI with discount printing from PsPrint. Brian Morris writes for the PsPrint Blog. PsPrint is an online commercial printing company. Follow PsPrint on Twitter @PsPrint.